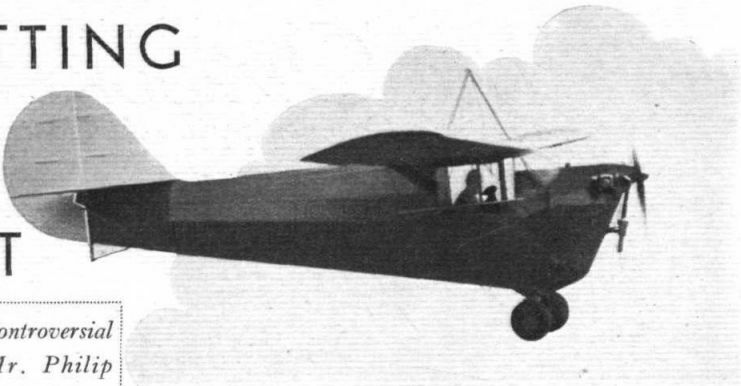 В ноябре 1928 года Американская корпорация аэронавтики (Aeronautical Corporation of America) занялась проектированием нового самолета. Она стала первым в Америке производителем, построившим настоящий легкий самолет для продажи широкой публике. Из названия ДальшеMore>>> корпорации образовалось название "Aeronca Aircraft", под которым компания выступала с 1941 года. Основная конструкция машины, которая впоследствии стала известна как Aeronca С-2, выросла из прототипа легкого биплана. В "Aeronca" улучшили этот прототип, а также создали под новый самолет маленький двигатель. Представленный в феврале 1930 года С-2 вызывал поначалу массу насмешек. Но легкомысленное отношение к машине сменилось повышенным интересом, когда одноместный С-2 продемонстрировал свою экономичность (30 литров горючего на 386 километров полета). Когда же С-2 стал один за другим устанавливать рекорды для машин своего класса и совершил несколько впечатляющих демонстрационных перелетов, он приобрел громкую популярность. Компания занялась его серийным выпуском. Aeronca С-2 - моноплан с укрепленным расчалками обтянутым тканью крылом, изготовленным из дерева и дополненным металлическими деталями. Каркас фюзеляжа и укрепленного расчалками хвостового оперения был выполнен из стальных трубок. Простоту конструкции С-2 подчеркивали неподвижный хвостовой посадочный костыль, расположенная под крылом открытая кабина и установленный в носовой части самолета двигатель. Всего построили более 100 таких машин, после чего объемы продаж начали снижаться, что стало следствием появления двухместного С-3. Силовая установка: один двухцилиндровый поршневой двигатель Aeronca E-107A мощностью 26 л. с. THE proverb concerning the ill wind was categorically applicable to the demonstration of the Aeronca at Hanworth last Thursday. Knowing that the wind was gusting up to 40 m.p.h. 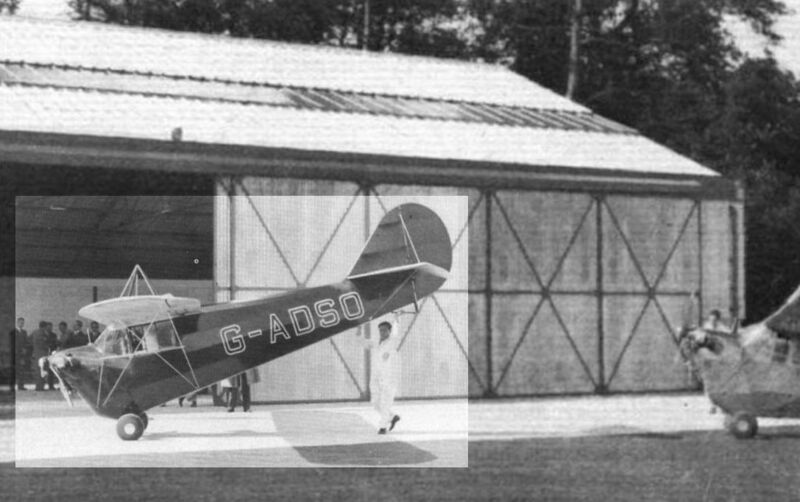 very few of the guests of Light Aircraft, Ltd., the company which is to build the English version, believed that they would see the machine even outside the hangar doors. 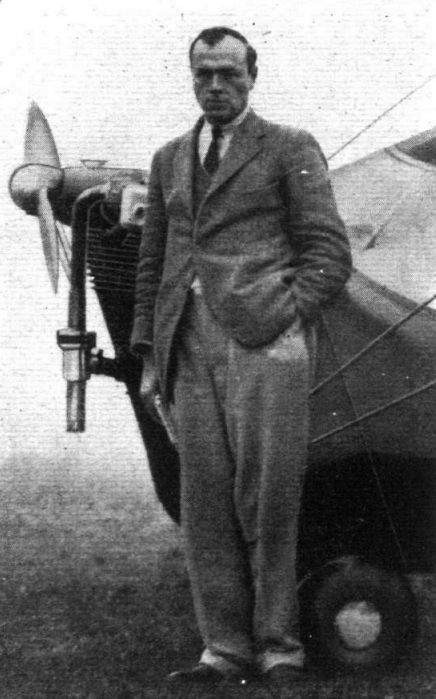 When, therefore, Messrs. Wood and Hill proceeded to taxi out and take off with the two demonstration Aeroncas it was obvious that, in the hands of experienced pilots at least, these ultra-light machines are not necessarily fine-weather playthings. Each remained absolutely stationary, or even moved backwards relative to the ground, during the climb at about 40 m.p.h., so there was no doubt about the wind speed. 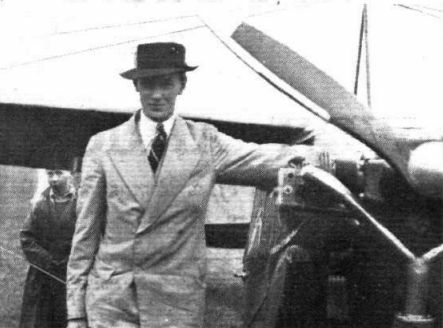 Only after several flights, including two with passengers, had been made, did Mr. B. Brady announce that "they had done enough for glory." 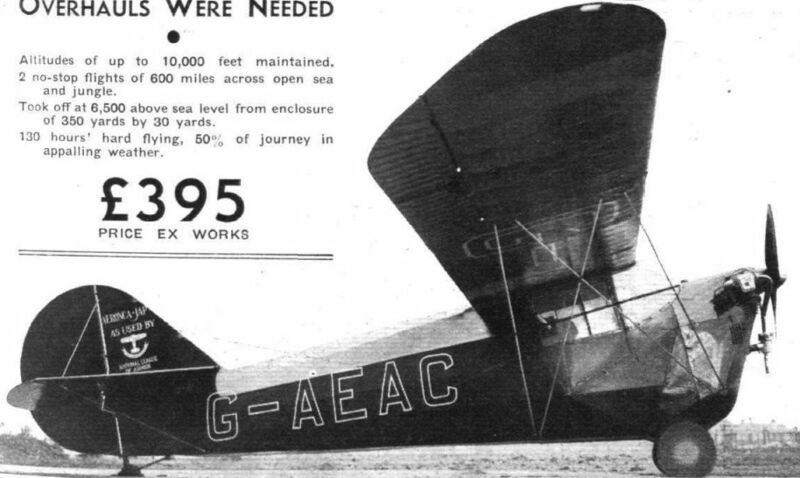 Actually, the two Aeroncas at Hanworth - which were, incidentally, very well finished indeed - had been brought over and assembled in this country, but all future models will be manufactured here, and J. A. Prestwich and Co. are building the transverse-twin engine to the same design but arranged with dual ignition. The type has been used extensively both for school and other purposes during the past few years in Canada and the United States, so there should be no doubt about its ability to stand up to hard work. 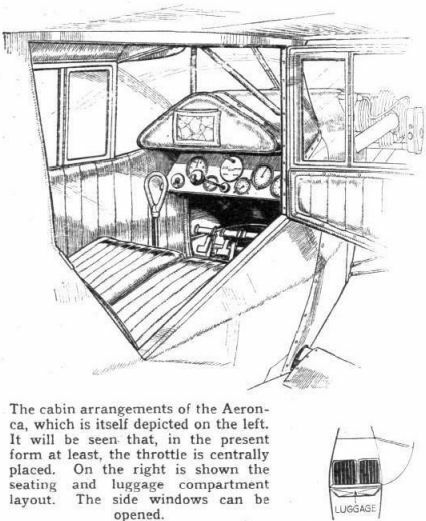 It is, of course, a high-wing wire-braced cabin monoplane carrying two people seated side by side. Of mixed construction, the fuselage and tail unit are of welded steel tube, while the wing spars and ribs are of spruce with, interestingly enough, pressed duralumin ailerons. The undercarriage is simple enough; the short oleo legs are inside the fuselage, and the steel half-axles carry air wheels and brakes for manoeuvring on the ground. The view from the interior of the cabin is good and there is plenty of light, transparent panels being arranged in the wing roof. A normal array of instruments is provided with a directly operated A.S.I, on the starboard wing bracing. The opposed twin air-cooled engine is of 1,860 c.c. capacity and has vertical overhead valves operated by enclosed push-rods through roller tappets. Its normal output is 38 b.h.p. at 2,400 r.p.m. Span, 36 ft.; span (with wings removed), 5 ft.; length, 20 ft.; height, 7 ft. 10 in. ; all-up weight, 1,066 lb. ; useful load, 437 lb. ; wing loading, 7.06 lb./sq.ft. ; power loading, 25 lb./h.p. ; maximum speed, 95 m.p.h. ; cruising speed, 87 m.p.h. ; landing speed, 33 m.p.h. ; initial climb, 450 ft./m.m. ; absolute ceiling, 12,000 ft.; cruising range, 305 miles; fuel consumption at cruising speed, 28 m.p.h. ; price (with full equipment), L395; makers: Light Aircraft, Ltd., 7, Park Lane, London, W.
The Aeronca is a high-wing wire-braced monoplane of mixed construction in which the pilot and passenger sit side-by-side in an enclosed cabin, with side panels which can be opened when, for instance, the screen is obscured in really bad weather. The cabin is wide enough for two people of normal size, and since they sit together at the centre of gravity, there is no real need for a trimming control in such a light machine. Brakes are, however, fitted, and can be used firmly without a risk of nosing over. Although the high position of the engine tends to restrict the view immediately ahead, the view in all essential directions is good. There is a luggage locker behind the cabin. Nothing about the Aeronca's flying and landing qualities is likely to worry the novice. A luxury model in the form of a low-wing cantilever monoplane, has been produced on the other side of the Atlantic, and it seems possible that we shall see it here in due course. 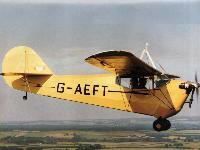 The specification of the standard Aeronca is as follows: Span, 36ft. length, 20ft. ; weight empty, 629 lb. ; disposable load, 437 lb. ; maximum speed, 95 m.p.h. ; cruising speed, 87 m.p.h. ; landing speed, 33 m.p.h. ; initial climb, 450ft./min. ; cruising range, 305 miles; price (with full equipment), ^395. 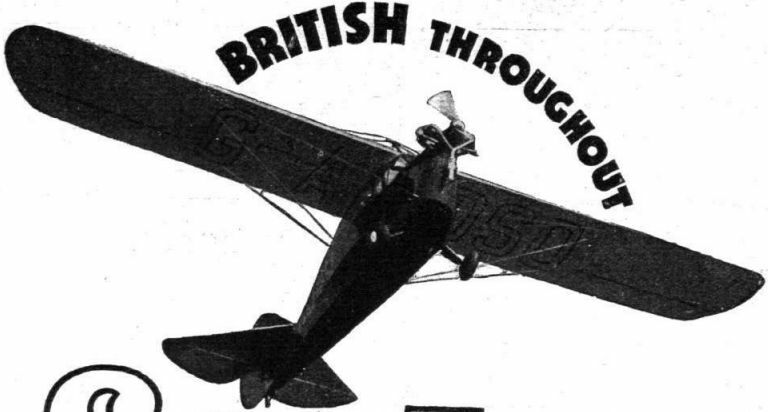 Makers: Light Aircraft, Ltd., 7, Park Lane, London, W 1. 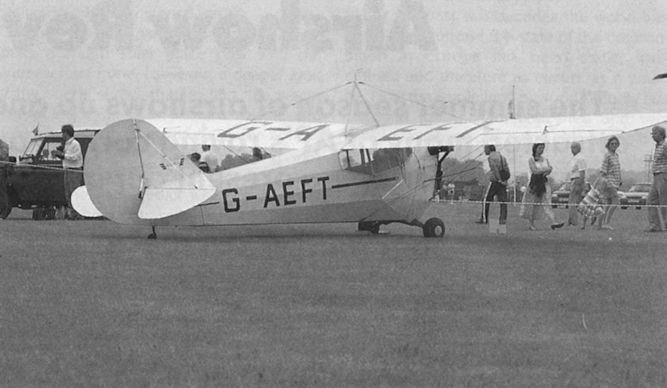 ONLY AERONCA C-1 still on the British Register, G-AEFT (c/n. A.610) is owned by H. Dodd of Newcastle. Built in 1937, this 36-h.p. Aeronca E.113C-powered two-seater is in perfect condition. Clive Humphries' Middle Wallop-based Aeronca C.3 G-AEFT was a non-de Havilland visitor to Woburn for the D.H. Moth Club Rally on August 17, 1986. Aeronca G-AEFT during ownership by three RN officers. 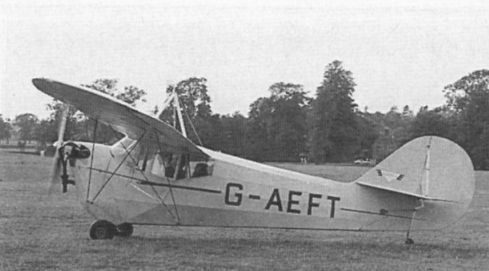 SEATING TWO, side by side, the American Aeronca is shortly to be built either at Hanworth or Aldenham, by Lightplanes Ltd. Mr. B. Brady has the British Empire manufacturing rights for this American design and, with the collaboration of J. A. Prestwich and Co , of motor cycle fame, who will build the engine, it is hoped to market it at ?395. The fuselage is of welded steel tubes and the wing of wood and metal. The cruising speed will be 85 m.p.h and range about 300 miles. A beautiful Aeronca C-2, NC13556, makes its low-powered approach. A 1930 "Razorback" Aeronca C-2 (G-ABHE) converted into an A.T.C. 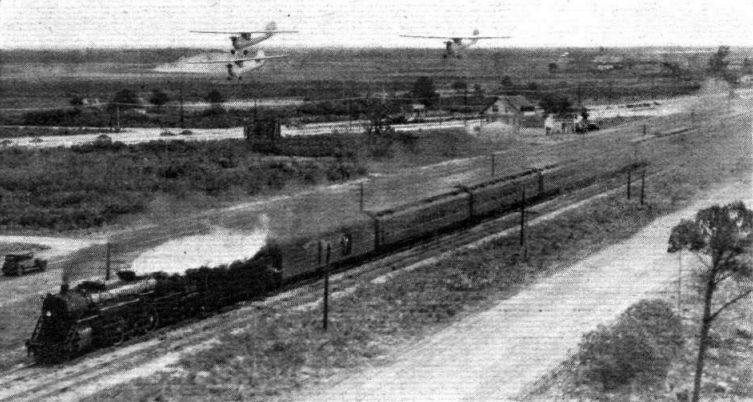 glider during the war. 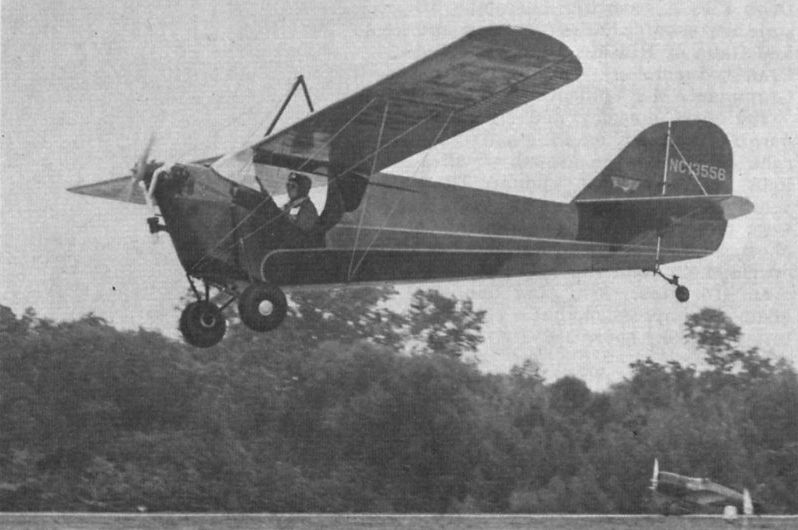 The Aeronca, which, like the Pou, has focused attention on inexpensive aviation. 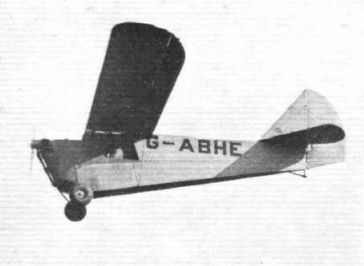 The two-seater Aeronca monoplane, which is now being built in this country. How the Aeronca may be manhandled. The machines are seen in front of the new Aircraft Exchange and Mart hangar at Hanworth. The Aeronca C-3 was one of the lightest aircraft flown by the Civil Air Guard, having an all up weight of around 1,000 lb. 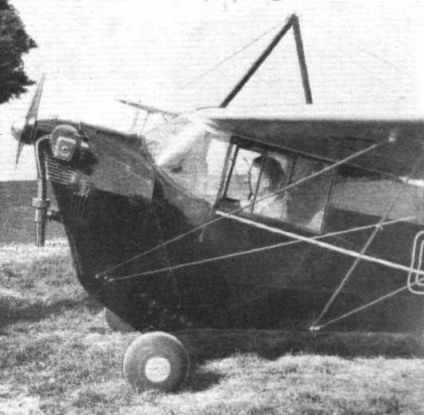 The "nasal" layout of the Aeronca is well shown in this photograph. The exhaust-warmed intake arrangements are noteworthy. AERONCAS ALL - Landplane version of the 1931 "Razorback" Aeronca C-3 powered by a 36-h.p. Aeronca E-113 engine. N11291 is one of very few still flying in the U.S.A. and is owned by Peter M. Bowers of Seattle, Wash., who also took the photograph. 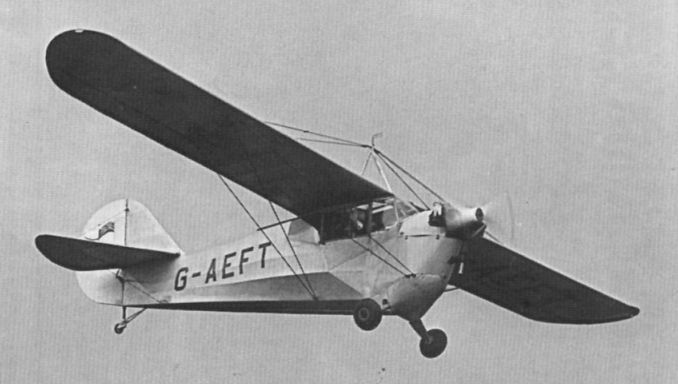 Compare with next photo of a 1930 "Razorback" Aeronca C-2 (G-ABHE) converted into an A.T.C. 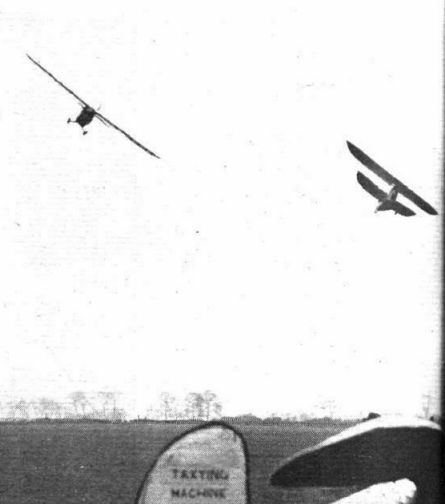 glider during the war. PAROCHIAL TRANSPORT: This is the Rev. 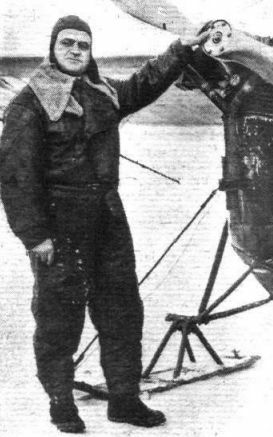 Father J. M. Coulture who tends the needs of his flock by air. The machine is a ski-equipped Aeronca. on which the "sky pilot" owner has covered many thousand miles. 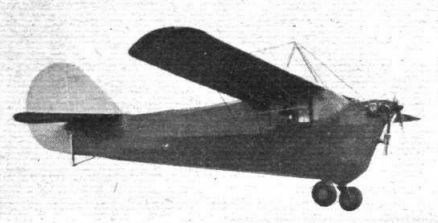 Floatplane version of the 1931 "Razorback". Aeronca C-3. Even with floats it can still carry two people (side-by-side) on only 36 h.p. It is flying in the U.S.
UP AND UP: In view of the fact that the Aeronca is now being built in this country this picture of a seaplane version which broke the height record for light seaplanes is of particular interest. Mr. B. King, the pilot, reached 16,000 ft. in 2 hrs. 20 min. WHY NOT? The seaplane has a certain very definite popularity in the States, and such small fry as the Aeronca have been successfully used with floats. When is someone going to start a seaplane or amphibian club over here? Even at high dual and solo rates there should be some very fair support if the club is based on a pleasant part of the coast. No sooner had Ben Cooper acquired Aeronca C-3 G-ADYS than he had the engine running. 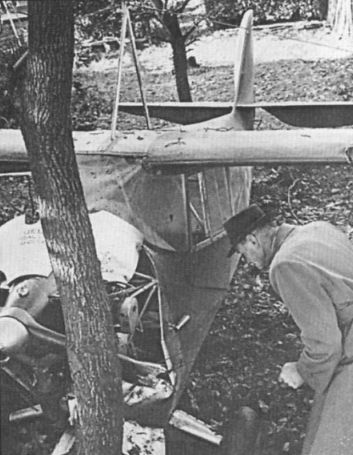 ’FT after it had forced-landed in an orchard in the Fifties.